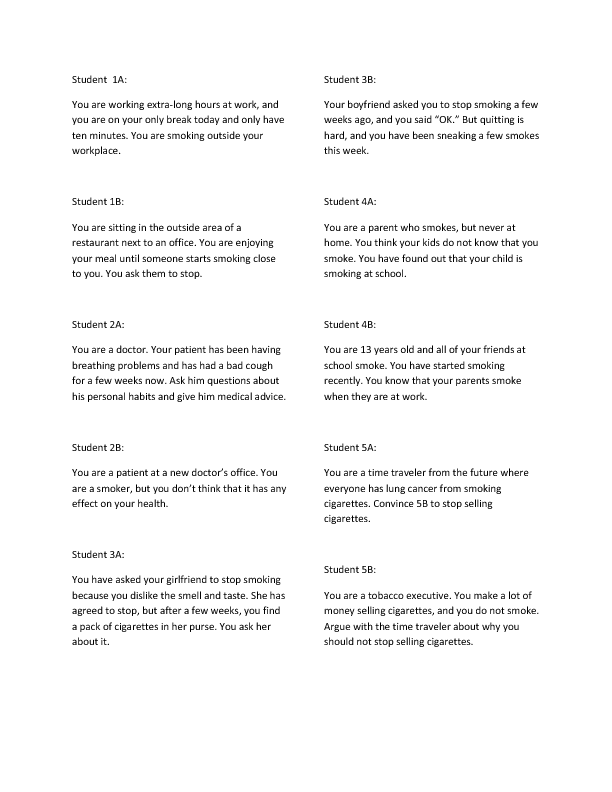 This is a sheet of 5 role plays dealing with interesting scenarios one might encounter when dealing with a smoker or being a smoker. 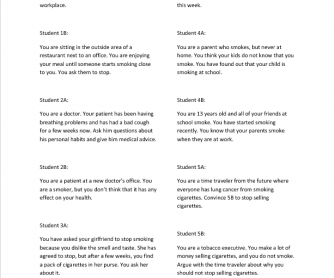 While the sheet gives some details about the character to be played, it works best if the students are creative. I find it best to give them a time limit for each conversation. For lower levels, a two minute discussion, for higher levels, a five minute conversation.